Both Ohio senators say they want the Mueller report to be made available to the public. The report details Special Counsel Robert Mueller’s two-year investigation into Russia’s influence on the 2016 presidential election. It was given to the Justice Department Friday, but Attorney General William Barr has released only a four page summary. Both Republican Rob Portman and Democrat Sherrod Brown are calling for Barr to release the full report. The U.S. Senate voted Thursday to terminate President Trump's declaration of a national emergency at the U.S.-Mexico border. 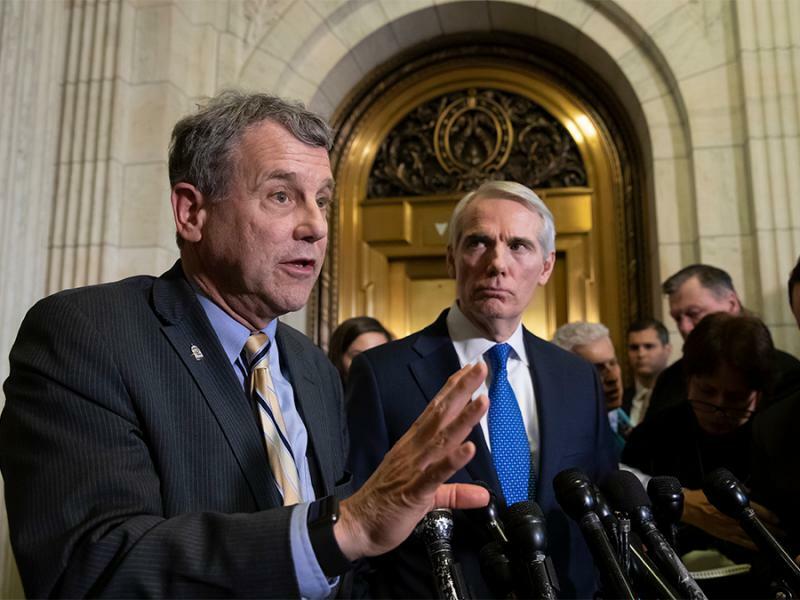 Both of Ohio's senators, Sherrod Brown and Rob Portman, cast their votes in support of the measure. Senator Rob Portman has yet to decide whether he will vote in favor of a bill rejecting President Trump’s declaration of a national emergency to fund the border wall. In a conference call with reporters Tuesday Portman said he needs more information on where funding for the wall would come from. Ohio Senator Rob Portman wants to hear a unifying message from President Trump tonight. Signaling his own desire for bipartisan cooperation, the Republican Portman invited the Democratic mayor of Youngstown to be his guest for the address. Portman says the president can bring the country together by talking about issues people agree need to be addressed, like repairing the nation’s roads and bridges.